Serving Montgomery County for over 30 years! At The Art of Music Studio we offer year-round private lessons, group classes, buddy classes, and summer camps for ALL ages! Instruments and classes include piano/keyboard, guitar, violin, viola, cello, drums/percussion, voice/singing, bass, ukulele, mandolin, harmonica, woodwinds, brass, Christian drama, drama, musical theatre, preschool music (Club Music for age 4) and MORE! 2019-2020 music lessons for all ages start Monday, August 19th, taught by The Art of Music Studio School of Music and Arts! Classes run between 30 and 36 weeks depending on your school's schedule. 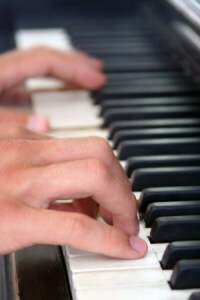 Students have 1-2 recitals per year. They will also receive an Award Medal and Certificate of Completion! Classes at Harvest Family Church will follow the Conroe ISD holiday schedule. Students will need 20+ minutes of at home practice 4-5 days a week to keep up with their class. Group Class minimum is 4 and maximum is 8. Buddy Classes are 2 or 3 students. Singing & Drama Classes have no set maximum class size. Private lessons and returning group and buddy classes begin August 19th, running through May 22nd. New Monday group classes begin September 9th and January 27th. New Tuesday group classes begin September 10th and January 28th. Homeschool daytime classes run 30 weeks, beginning August 27th through May 6th. Students pay monthly payments for 30-, 45-, or 60-minute lessons. 30 minute lessons are $38 per lesson, prorated for the year. Exact price depends on when the student starts and which day of the week the lesson falls on. There is a $85.00 non-refundable registration fee, which includes two optional recitals, plus an AoM backpack book bag. Books are separate and vary in price depending on the instrument and age of the students. Students pay monthly payments of $76 for 30-minute group classes. There is a $65 registration fee with an optional recital. Registration fee includes a free music bag. Books are not included with registration. Recital students receive an Award Medal and Certificate. Please call us at (936) 756-8777 for more information.